KASCO has a nationwide service repair network of experienced technicians. Our factory trained technicians carry a large inventory of repair parts for on the spot repairs, and we provide same day and next day emergency repair service in most areas of the country. KASCO provides service and maintenance programs for a wide variety of food-related equipment and machinery, including retail grocery stores, butcher shops, and packing houses across the U.S. and Canada. We also provide service for meat, deli, bakery, and produce departments. Read more. KASCO provides service for a wide variety of commercial equipment, providing your operation with a trusted single-source provider for all of your commercial equipment needs. 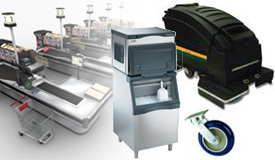 We specialize in the service, repair and maintenance of a wide variety of equipment, including ice machines, belted checkout stands, water purification, and more. Read more. "A preventative maintenance program is necessary for monitoring equipment operating conditions." Improve the efficiency of your organization with scheduled preventative maintenance service. During scheduled visits, trained service professionals conduct complete equipment inspections to ensure your equipment is running smoothly. During this inspection, minor or major adjustments are made, parts are lubricated and aligned, and worn or damaged parts are replaced. In addition, machines are tested for proper operation to maximize efficiency. Learn more about our Preventative Maintenance Program. If major repairs are necessary, KASCO representatives are fully trained to provide quick and effective service that minimizes the cost of equipment downtime. When service is completed during a scheduled visit, trip charges are applied only when sudden problems occur and emergency maintenance service is required. Our factory trained technicians carry a large inventory of repair parts for on the spot repairs. We provide same day and next day emergency repair service in most areas of the country and we continue to expand our service area. KASCO provides equipment maintenance and repair on the top brands in the industry. Our fully trained service professionals have experience with Berkel, Biro, Bizerba, Doyon, Globe, Hobart, JAC, Oliver, and other brands. These technicians ensure your equipment is running properly for maximum efficiency. For over 100 years, Berkel has produced reliable equipment that chefs and operators depend on for consistently great results. 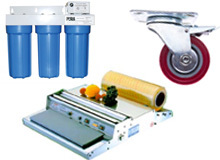 BIRO Manufacturing is the leading producer of quality meat processing equipment including meat band saws, deli slicers, meat grinders, and tenderizers. Bizerba is a worldwide leader of manufacturing retail scales, slicers, weigh price labeling equipment as well as checkweighers, industrial scales, and software. Since 1916, Clarke® has manufactured rugged floor maintenance equipment for the commercial, industrial, retail, education, hospitality, and do-it-yourself (DIY) markets. Doyon equipment Inc. has been a manufacturer of bakery and pizza ovens for more than 50 years. From national restaurant chains to local delis to four-star hotel restaurants, Globe products are hard at work delivering the precision that creates delicious food. For more than 100 years, Hobart has supported the food equipment and service needs for the food service and food retail industries. JAC Machines manufactures bread slicers, dough processing machines, dividers, bread moulders, and bread proofers. Oliver Packaging & Equipment Co. is a Grand Rapids, Michigan based company that has been developing and manufacturing innovative solutions for diverse markets since 1890. 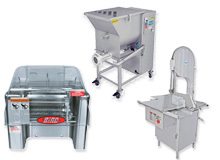 Butcher Boy manufactures a complete line of meat band saws, grinders, and mixers. Frymaster is a leading supplier of commercial fryers, frying systems, water-bath rethermalizers, pasta cookers, and other related equipment. Regal Equipment, Inc. specializes in the supply of quality reconditioned and used equipment to the food processing and packaging industries. 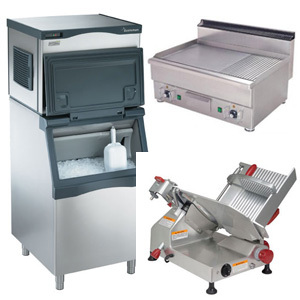 Resfab design, engineers and manufactures food service equipment such as chicken fryers, rotisseries and frozen yogurt machines. 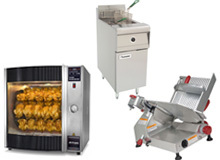 Provider of global foodservice solutions including frying, combi cooking, holding, displaying, and chilling equipment. 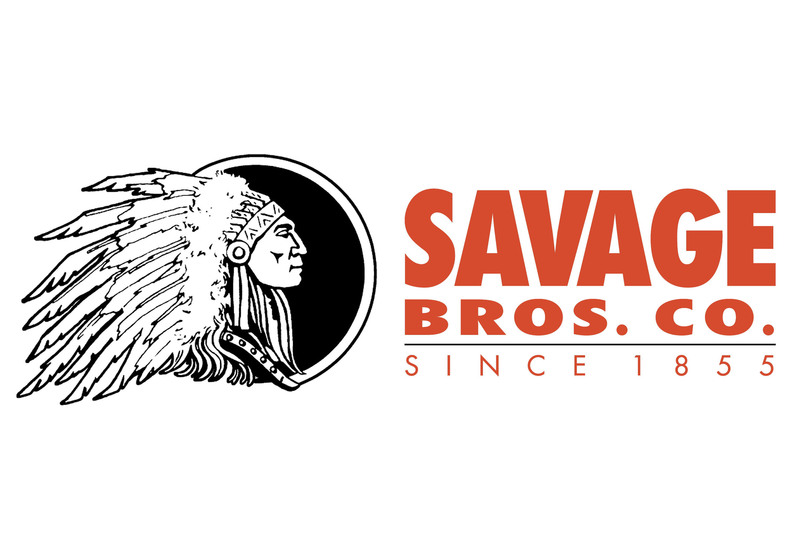 For over 150 years, Savage Bros. has continuously manufactured confectionery machinery. 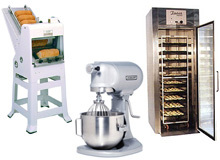 Their candy making and chocolate making equipment are recognized worldwide for long lived quality and reliability. TOR REY is a leading manufacturer of innovative food equipment, refrigeration, scales and cutlery. NEMCO manufactures innovative food equipment that keeps food quality and operator profits high. Nobles is a recognized leader in manufacturing cleaning equipment and solutions that help create a cleaner, safer, healthier world. NSS has always employed the philosophy of design simplicity--uncomplicated solutions that avoid unnecessary, trouble-prone gadgetry. Renowned for product innovation and quality, American Range is a recognized leader in the commercial food service industry for its fryers, griddles, ranges, broilers, and cooktops.